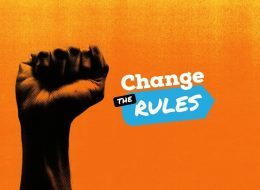 Will you join us Wednesday to Change the Rules? Working people are facing some of the most significant threats to working conditions and rates of pay that we have seen since WorkChoices. For working people, the rules are broken. Work is becoming more insecure, wage theft is rampant and it’s harder to win decent wage increases that keep up with the cost of living. Working people are facing some of the most significant threats to working conditions and rates of pay that we have seen since WorkChoices. Even though profits are booming, a third of big business still don’t pay any tax. Many more are also engaged in a race to the bottom on wages, conditions and job security.